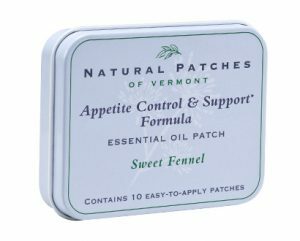 Sweet Fennel / Appetite Control & Support Formula | Natural Patches of Vermont, Inc.
Affirmation: I am practicing a mindful life and mindful eating habits. I am conscious of everything that I eat and I eat only when I am hungry. WARNING: For external use only. Do not apply to broken or irritated skin. If skin sensitivity occurs, discontinue use. If you suffer from any medical condition, including pregnancy, seek professional advice before use. Keep out of the reach of children. Keep away from eyes. May cause irritation to sensitive skin.